The Bill Gowin Insurance Agency is announcing a regional charity event in the greater Seattle region to help generate community support for a young girl named Kiley who was injured in a recent automobile accident. “Our agency is on a mission to lend a helping hand to this local family during the upcoming holiday season,” said Bill Gowin, managing director of the firm. Funds generated during the charity drive will help provide food and clothing to Kiley and her family as well as helping to cover medical expenses. 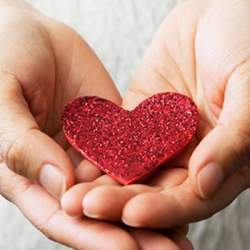 All residents are able to be part of the charity event by referring friends and family to the Bill Gowin Insurance Agency to receive a quote at no charge. For each referral generated in this way, the Gowin team will make a donation to Kiley and her family. For additional details on the charity event, readers are invited to visit the Gowin Insurance website: http://billgowininsurance.com/rewards/. As a Personal Finance Representative in Kirkland, agency owner Bill Gowin knows many local families. His knowledge and understanding of the people in his community ensures that clients of Bill Gowin Insurance Agency are provided with an outstanding level of service. Bill and his team look forward to helping families protect the things that are most important – family, home, car and more. Bill Gowin Insurance Agency also offers clients a preparation strategy for achieving their financial goals. To contact an expert at Bill Gowin Insurance Agency, visit http://billgowininsurance.com/ or call (425) 823-1326.